Northwest Premier Jr Football & Cheer (NPJFC) League was formed in summer of 2015 for youth football clubs who wanted values that better serve their families and communities. While providing more access, options, and exposure to experiences that develop scholar-athletes to become people who develop better communities. We are entering our 4th season this summer, and our first as a Snoop Youth Football affiliate. This new partnership will bring change to our playing divisions. For the first time ever, NPJFC will be an "AGE ONLY" league. Freshman (8u), Sophomore (10u), Junior (12u) and Senior (14u) levels. Also this season we will be introducing our 6u division, Rookie Tackle American Development Model(ADM) sponsored by USA Football. 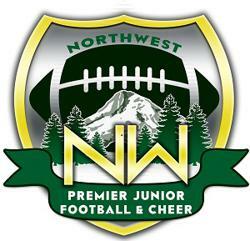 NPJFC consists of youth football & cheer clubs in the Renton, Seattle, Puyallup, Tacoma, Auburn, and surrounding areas. We invite EVERYONE to join us for our annual events to support our youth. ANNUAL LEAGUE JAMBOREE our 2-day football party event at Renton Memorial attracts over 10,000 spectators & participants. It's simply the biggest and the best in the Great Northwest! NW Premier Championship Weekend we crown our league champs. Cheer Championship Competition our young ladies set off our Championship weekend with their annual competition. Annual All-Star Invitational Weekend Showcase with 200 players selected from our member clubs for our Green & Gray Game. Including powerful high school college prep workshops. Our mission is to develop scholar athletes to become better people who develop better communities.